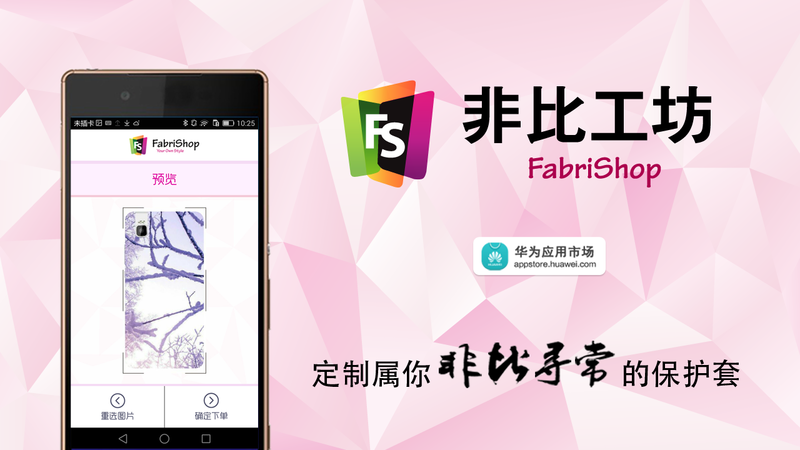 FabriShop is an app for Huawei smartphones user to create their personalized cases. Users can create their own custom cases by uploading their favourite photos to the app or utilizing the official photo provided. After choosing the photo, users can edit the chosen photo, for example, rotate the photo, add filters and photo frame into the photo, etc. Users can place an order and complete the purchase after the photo editing. This is an era that everyone highlights their own personalities. Hence we have committed ourselves to bring the most perfect user experience through the simplest way. From the language options to the user login, we provide you varied choices so as to satisfy different needs. Also, we have elaborately designed various kinds of filters and photo frames so that users can beautify their personalized cases by simply one click.